There are many diseases similar to Lyme disease and the symptoms can be confusing. One such disease is Lupus disease. 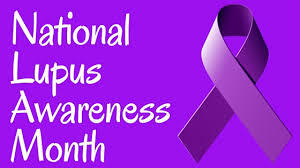 Some people are even diagnosed with lupus and Lyme disease together. This leads Lyme disease being mistaken for Lupus. In this guide we will study similarities between Lyme disease and Lupus symptoms. Check out other articles on this website for effective home remedies and natural cures for Lyme disease symptoms. Today we will study the link between Lupus and Lyme disease. Symptoms that Lupus has in common with Lyme disease are fatigue, skin rash, fever, joint pain, muscle aches etc. Why is Lyme mistaken for Lupus? It is often difficult to distinguish between Lupus and Lyme disease owing to similarity in symptoms. Lab test results can also be confusing. Therefore, many doctors consider lupus, Lyme and rheumatoid arthritis as distant cousins of each other. The autoantibody called rheumatoid factor is present in all these diseases. However, there are minor differences in these diseases- for example, in Lupus, only one side of the body might ache whereas in rheumatoid arthritis, the pain may be present in both knees, both hips etc. The reason why Lupus and Lyme are also considered similar to each other is because the disease presents varying symptoms in each individual. Both diseases attack different organs in the body. Therefore, the symptoms can vary from person to person and even in twins. Sometimes, patients may also see signs that lupus is getting worse. Moreover, these symptoms may vary from week to week. However, it is usually not the case that Lupus disease will attack different organs once it has set in. What this means is that a person with kidney disease might not suddenly develop symptoms of central nervous system. Both disease are debilitating and can hamper the quality of life. Lyme disease affects hundreds of thousands of people in the United States each year. It is one of the most common tick borne illnesses in US and is transmitted by bacteria carried by deer ticks. After a tick bites, it attaches itself to the host’s skin and drinks blood for at least 3-4 days. While it feeds, it deposits infectious cargo in the bloodstream. The longer the tick remains attached, the greater the risk of Lyme disease. Lupus disease often goes into remission. The occurrence of symptoms is known as a flare up. A flare-up is when the patient gets sick from Lupus; it is usually seasonal. For example, some people get very sick in winters. Stress, illness and exhaustion can also worsen lupus symptoms. An average lupus patient can develop as many as one to six flare ups a year. Many a patient has killed him/herself due to this disease due to the severe depression and the presence of constant disease in the system. Lyme and Lupus are both debilitating diseases which wreck the immune system and nervous system and present a myriad of symptoms. Arthritis, heart ailments, muscle stiffness, headaches, rashes, fatigue, and paralysis strike victims. Many a patient with Lupus and Lyme has been misdiagnosed for years. Several have committed suicide-having shot themselves in the head or jumped out of cars into oncoming traffic or overdosed on narcotics due to constant sickness as well as depressive thoughts. A good thing is that Lyme disease is treatable and curable if caught in its early stages. If not, the symptoms could worsen and the disease could attack the eyes, spleen, lymph nodes, cardiovascular and even central nervous system. Some patients of Lyme disease also develop chronic symptoms while others find that their symptoms get better over two-three years. A blood test is the best way to diagnose both diseases.